The only dinosaur discovered at Solnhofen is Compsognathus. This tiny carnivore—one of the smallest of all dinosaurs—may have hunted for little reptiles and insects. 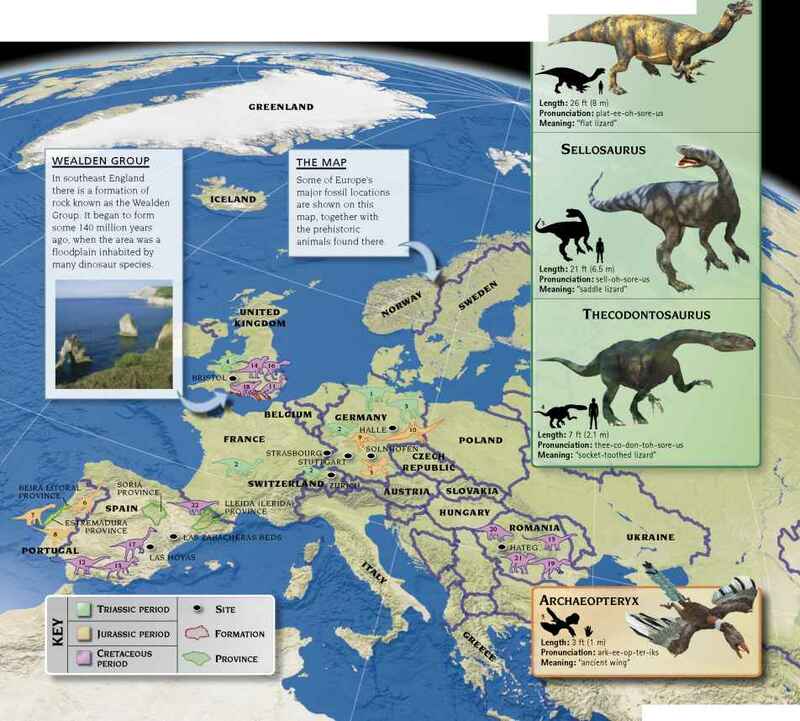 As a dinosaur, it can only have lived on land, so how did it end up in the water of Solnhofen? Perhaps a river carried its dead body from the land to the lagoon, where it sank and became a fossil. Solnhofen's limestone has preserved the remains of more than 500 different Jurassic animal species, giving us a glimpse of life above and below water level. There are fossils of fish, turtles, starfish, jellyfish, ammonites, and worms, together with creatures of the sky and land that somehow ended up in the water. 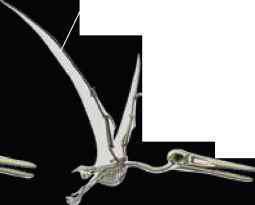 About 100 Pterodactylus specimens have been found at Solnhofen. 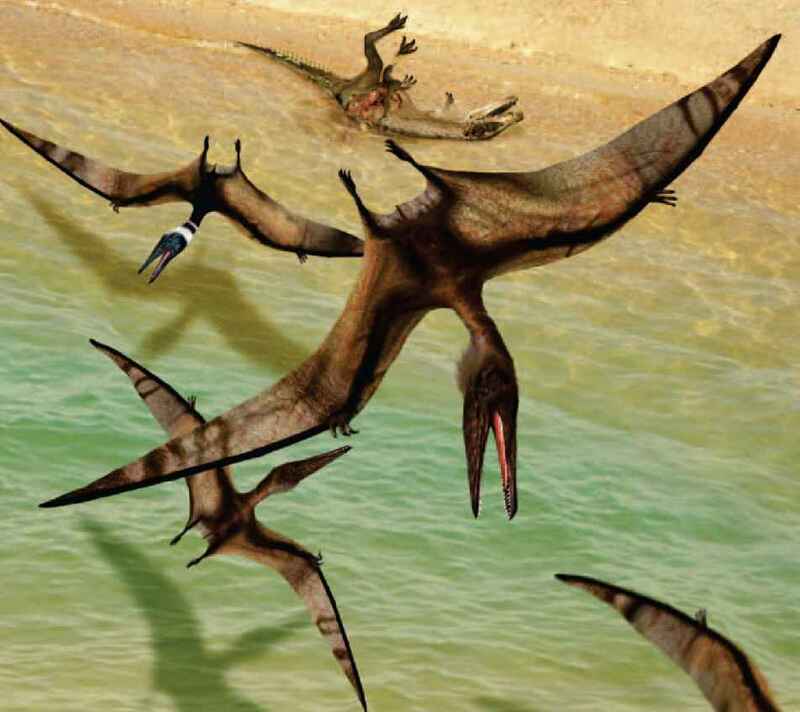 While dinosaurs ruled the land, these flying reptiles controlled the skies, and the small, fish-eating Pterodactylus was a common sight. It's lightly built skeletal framework suggests that it was a powerful flyer.